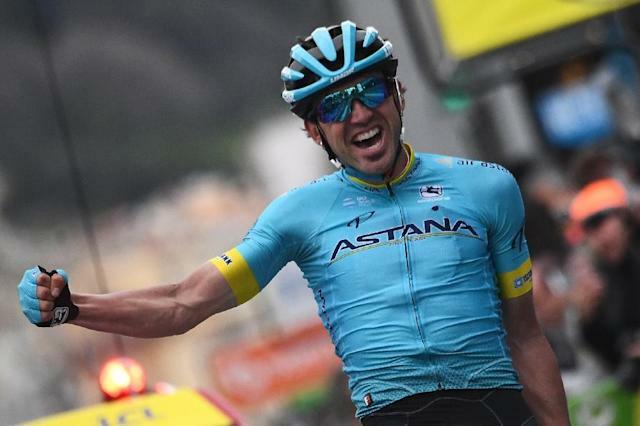 Eibar (Spain) (AFP) - Spain's Ion Izagirre said it felt even better to win at home after he triumphed in the Tour of the Basque Country on Saturday by finishing fourth in the final stage. "It was very hard but thanks to the work of the team, we were able to finish in the best possible way," Izagirre said at the end of the race. "I felt good and we knew that (Emanuel) Buchmann could pay for yesterday's effort. We pushed all the way, we tried and it went well. Winning is always nice but at home it feels even better." Bora-Hansgrohe's Emanuel Buchmann had assumed the lead by winning stage five on Friday but fell behind on the ascent of Azurki as a five-man group took charge. Britain's Adam Yates crossed the line first after pulling clear with three kilometres left, ahead of Dan Martin in second, Jakob Fuglsang, Izagirre and Tadej Pogacar. "We knew it was the last chance to win," said Yates. "There were around 60 to 65 kilometres to go and the pace was super hard but luckily I had some teammates there to really push the pace. "From there, the five of us worked well and in the final there I attacked in the final three or four kilometres and managed to win. It was a great day, a crazy day."